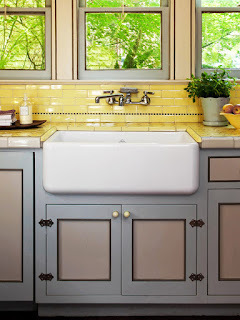 I found this picture of yellow subway tile the other day and I just love how bright and playful it makes this kitchen look. I found it on the BHG.com site. Man I love that site. What an inspiration. 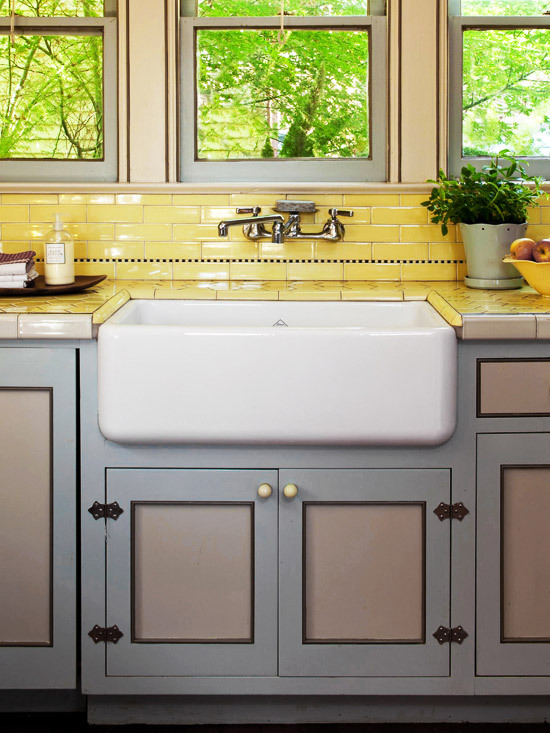 I also love the apron front sink. It is definitely on my wish list.